YOU want to be successful and achieve personal goals and long-held dreams and ambitions. This striving for something, this drive for betterment and improvement or attainment, is fundamental to our nature and is what has inspired evolutionary if not revolutionary progress both personally and collectively. There is no end or finish line to aspiration for as one goal is achieved another begins to form. As a chartered professional accountant, you’ve already demonstrated that this drive to be successful is in your DNA — through tenacious hard work and commitment, culminating in achieving your designation. However, this was not a crowning achievement but rather an early mile marker in a career with years and decades to run. Are there tools and tactics to channel your drive and help you achieve incremental and long-term success going forward? There are! And business leaders are now enthusiastically embracing the tactics used in the world of athletics and sports for their own benefit. 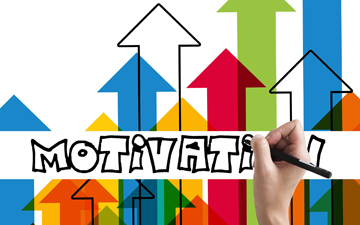 In this first of a series of articles, I will examine motivation as a success factor and the mental preparation tactics and techniques you can use for motivation. At first glance, these techniques seem simple and straightforward but what’s missing for many is the discipline and commitment to actually do them — and stick to them. Motivation begins with the simple idea that you want something. You have a goal, an objective or desired outcome. What is it you want? Not something where your attitude is “it would be nice to have” or “if it happens it happens,” but something you truly, deeply desire. This is the first hurdle for some — you have to want it. So tactics and techniques address these two aspects of motivation: 1, the clarity of the objective or intention, and 2, the desire to achieve it — the emotional fuel. First, you must be clear and precise as to what you want to achieve. Here’s an example. Imagine you are a CFO and the CEO has asked you to make a presentation to the board of directors. The CEO wants to acquire a company (let’s call it, Olympia) and wants a convincing argument for the board. What’s your objective? Here is one way to express it: My intention is to deliver an informed, persuasive and polished presentation to the board of directors and convince them to approve the purchase of Olympia. Notice the key words in this statement and the preciseness and clarity therein. Begin by expressing a personal desire (“My intention”), then express how you intend to do it (“deliver an informed, persuasive and polished presentation”), then the outcome (“convince them to approve the purchase”). The “how” is important as it will play into the other success factors discussed later. This is a useful model statement for any objective — simply tweak it to conform to your particular goal. It is important that you write out your intention on a piece of paper. Carry it around with you in a pocket. Remind yourself frequently by reviewing your objective to maintain focus on what you want. Every time you dip your hand into your pocket and feel the paper, you are reminded. The second aspect of motivation is the desire, the emotional fuel to maintain your commitment and focus and give energy to the realization of your intention. How do you develop the “truly, deeply desire” to succeed? Start by writing out a list of the many ways you benefit from being successful. Consider the personal reward (feelings) that come from being tasked with an assignment and completing it: a job well done, the respect and praise which come from your boss, the admiration from the directors, and the acknowledgement and recognition from your peers. These all validate you as a professional, a competent and skilled individual who can be counted on to deliver. Consider what this might mean for your career, the possibility of financial rewards, promotions, or being tasked with interesting, new assignments. Consider how your family will benefit and how your staff, who participated and helped you, will also benefit. As you make your list, you begin to stoke the emotions of joy and happiness — the fuel that keeps you focused and committed on achieving your objective. Make a habit of twice a day (morning and evening) to sit in quiet contemplation and review your written intention and the feelings (emotions) that result from the successful outcome. This is a simple but effective way to maintain your motivation — the first key factor in achieving success as a CPA. Robert Gagnon CPA, CA, is a teacher and writer focusing on personal and professional development. Visit Robert’s website at Human Becoming. He can be reached at essex@total.net.